When I first downloaded and looked at this image, I wasn’t sure it was worth keeping. The photo of the sunflower is not the best, but then it occurred to me that this sunflower may not have been as pristine as it was when it first opened…but that’s a lot like our lives. We are all brought into this world to experience a new life with great expectations, but after being knocked around by time and experience…we may not look as fresh as when we first blossomed, but life does that to all of us. 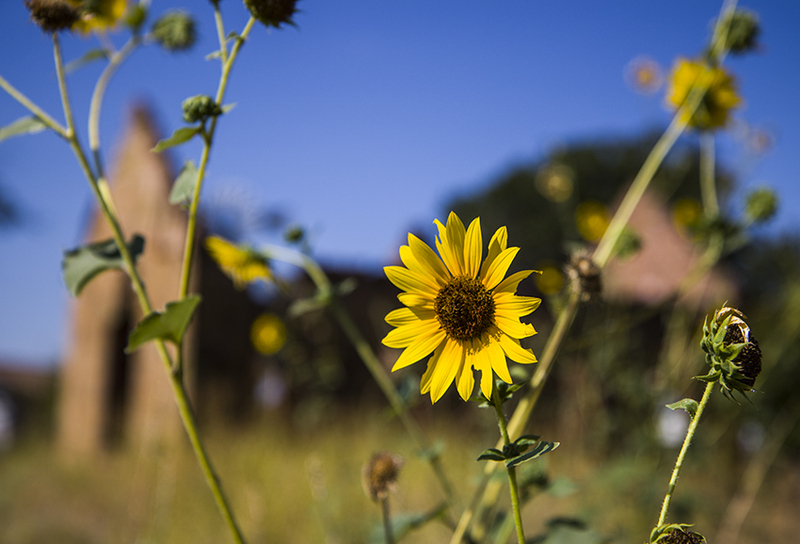 This sunflower has certainly seen better times, but with the summer heat and dry conditions setting in, it perhaps is not as picture perfect as it was when it began life’s journey. But who are we to judge? Life happens. This is the Texas moon, at least part of it, taken at Round Rock, Texas one night in early November. No, it was not a full moon, but in taking this picture I tried to obtain the best mix of detail, contrast and exposure. And, really, I just wanted a picture of the moon, and this was all that was available at the time. I think I will try some taking some different photos of earth’s closest neighbor in the future, but for now…this is what I have in my photo gallery. The setup took all of about 5 minutes, attaching my camera to a tripod, and then locating the moon in my viewfinder…which was a bit of a feat. As I zoomed in for the picture, I would lose the moon in the view finder (imagine, losing the moon)…and when I finally located it, it was way off center. But patience is a virtue, and I had a little bit that evening. So from start to finish the picture took about 15 minutes to capture. 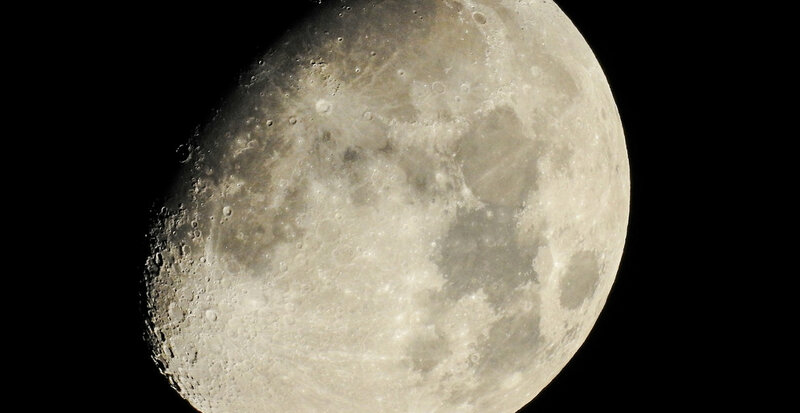 It probably is never going to be anywhere near the best picture of the moon, but its my first attempt to capture it with a really decent camera that has a great zoom lens.